As much as I love the holidays - the time with family, the visits with friends, and all the amazing food, what I look forward to most is escaping all the holiday chaos - the shopping, the wrapping, the baking...did I mention the shopping? 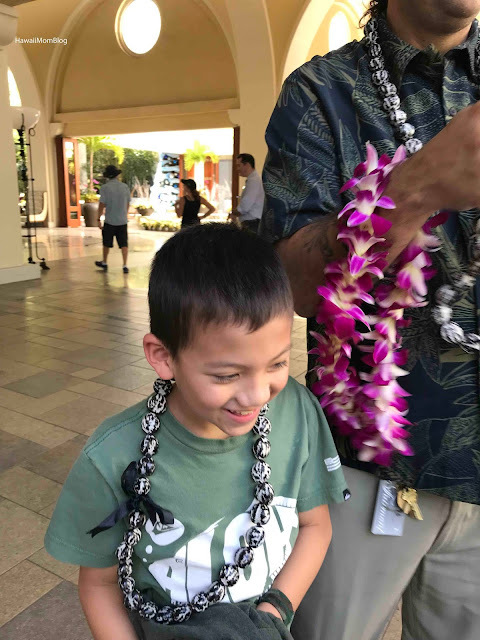 In mid-December I made my escape with the family to the luxurious Fairmont Kea Lani on Maui for a weekend. 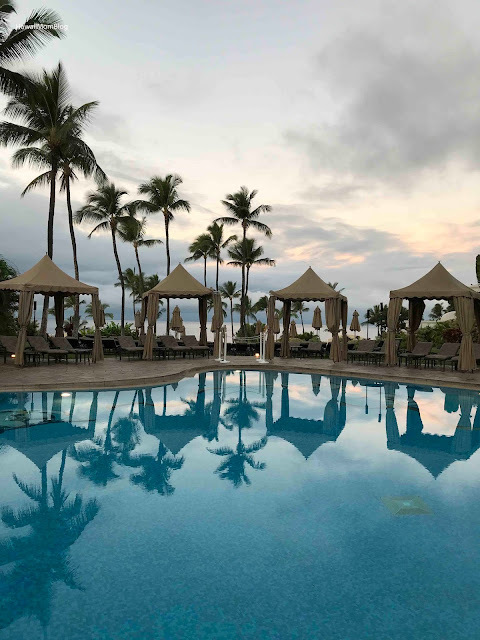 With 413 one-bedroom suites and 37 villas, the Fairmont Kea Lani is Hawaii’s only all-suite and villa luxury oceanfront resort, and offers the perfect respite, complete with stunning sunsets and calming ocean waves. 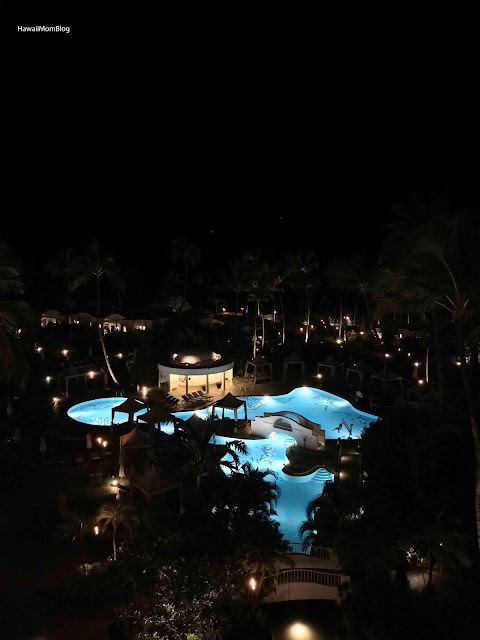 I could not contain my excitement once we pulled up to the resort. We were greeted with lei and juice, and although it was still well before the 4pm check-in time, we were ready to leave our luggage with the bell desk so we could spend time at the pools. We had access to a hospitality suite so we could change into our swim gear, and before long we were lounging by the pool! 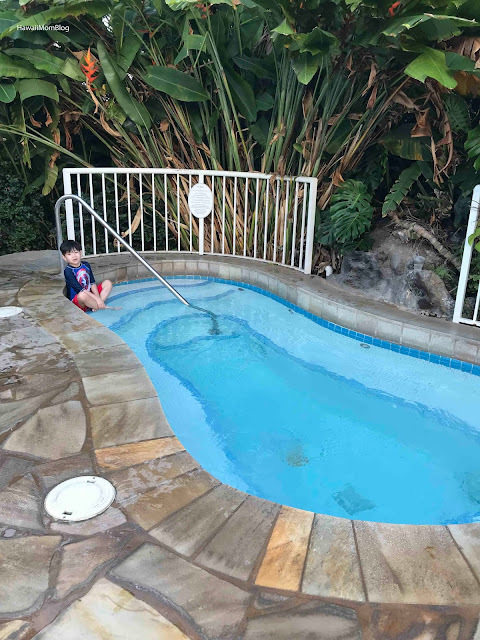 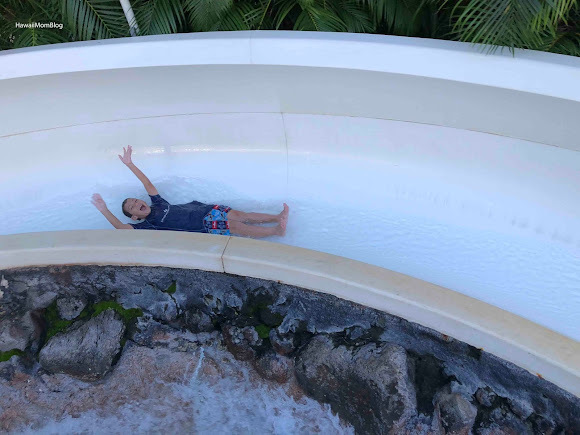 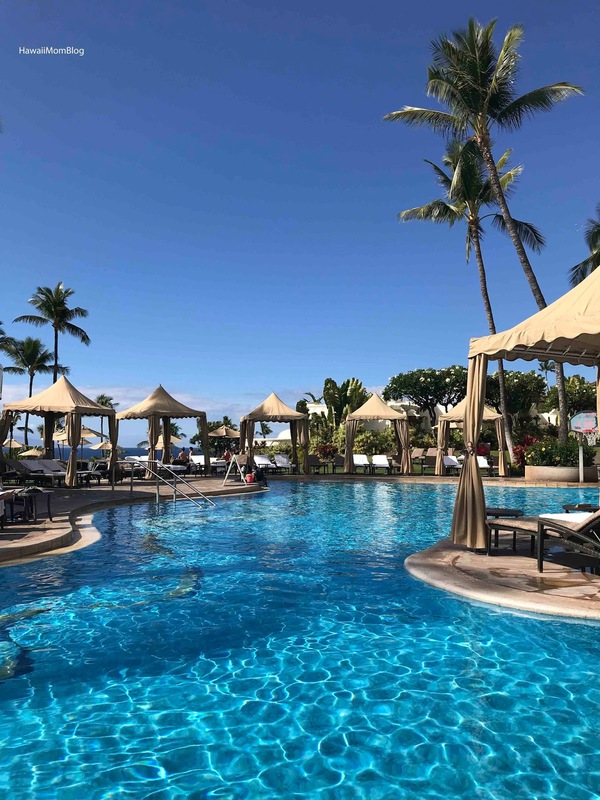 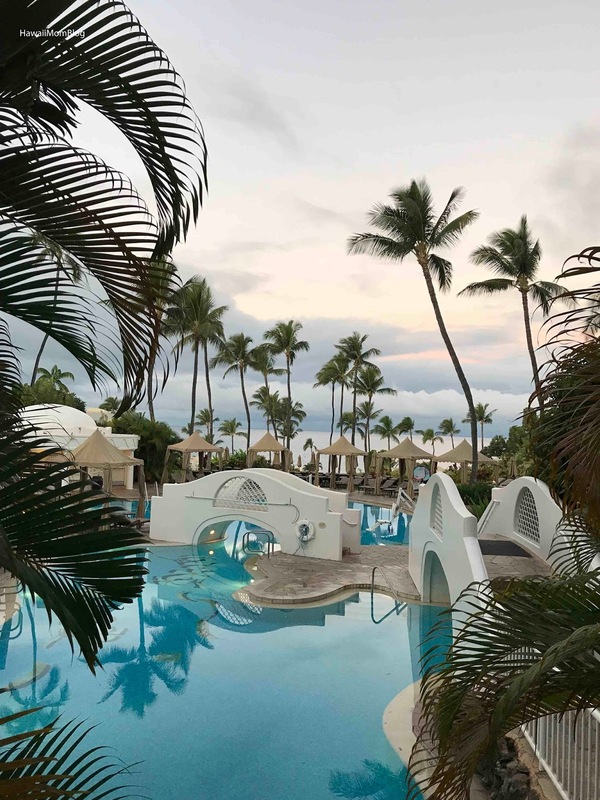 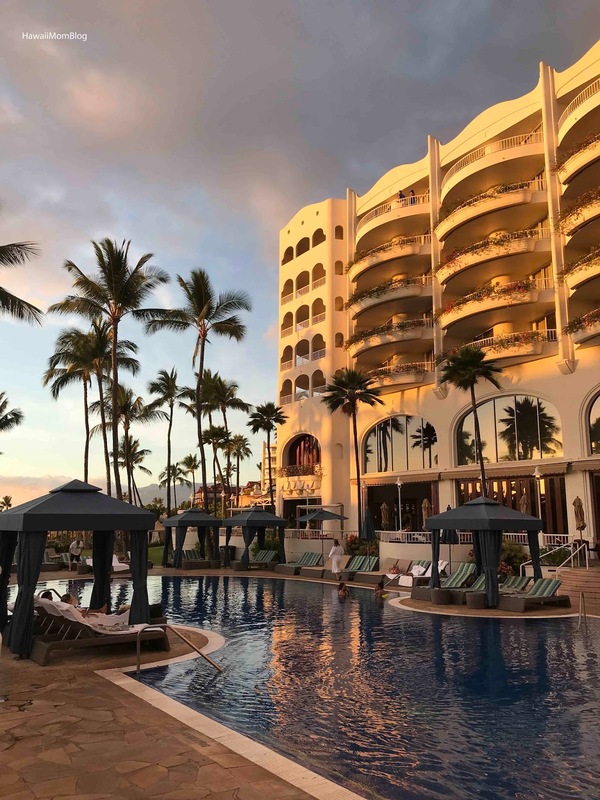 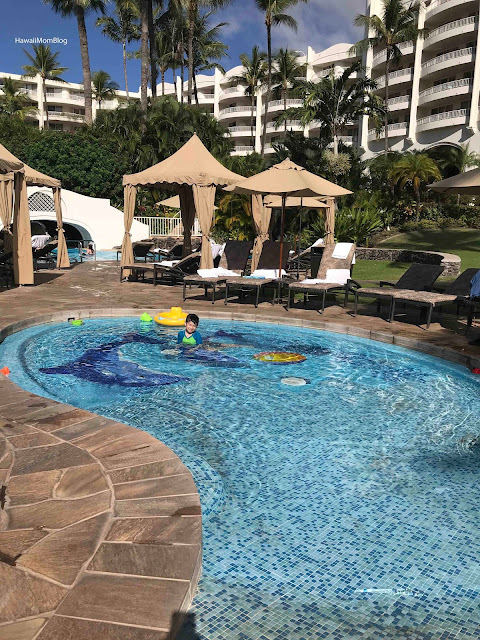 The Fairmont Kea Lani offers two family-friendly pools connected by a 140-foot waterslide, as well as an adults-only pool. 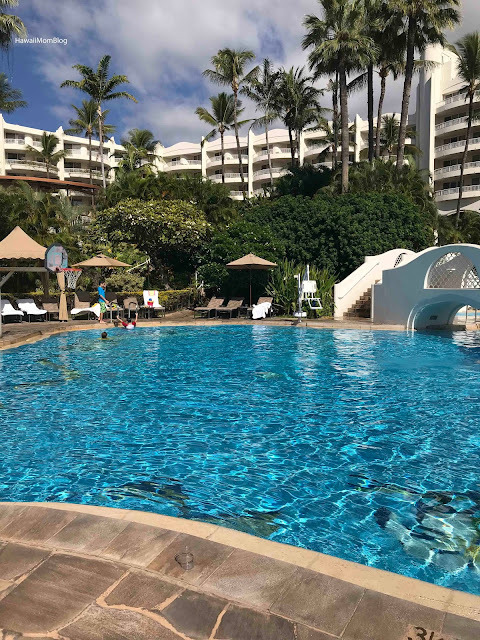 The pools are open 24-hours a day! 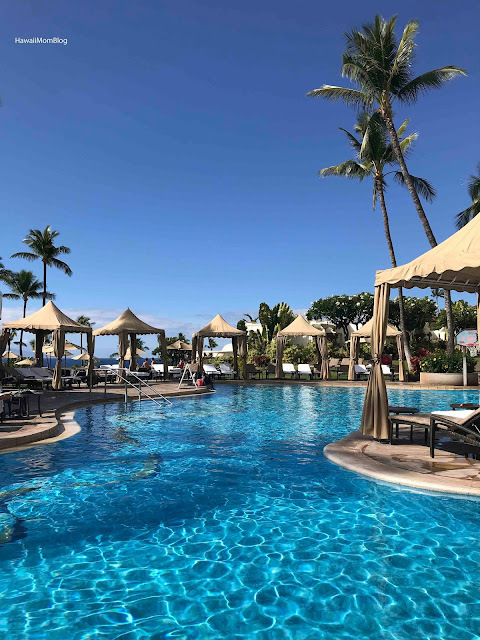 There were plenty of loungers and beach umbrellas to relax under, and for the ultimate in pampering and relaxation by the pool, you must try the Cabana Experience. 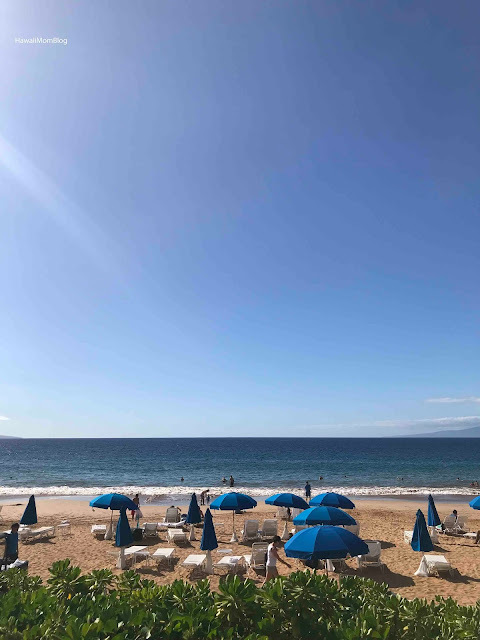 If you rather splash in the ocean instead, Polo Beach is just steps away. 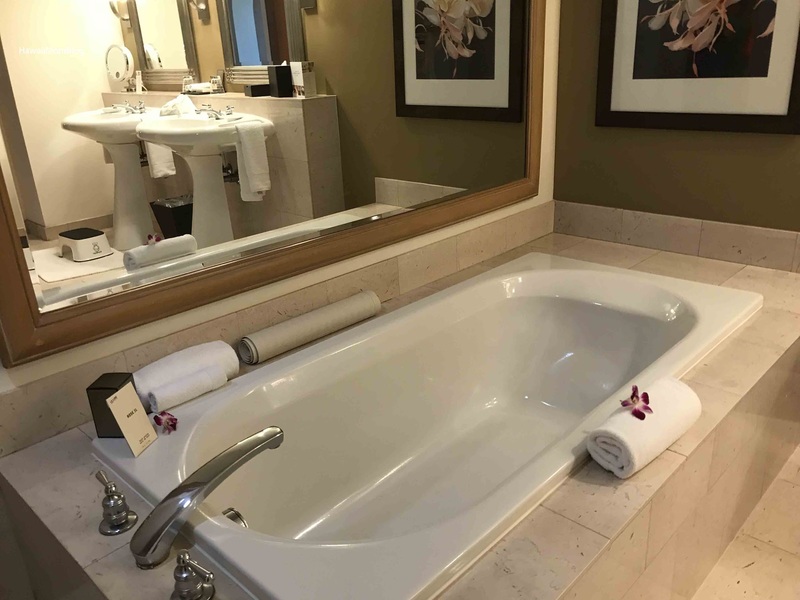 After some time by the pools, I received a text that our suite was ready! 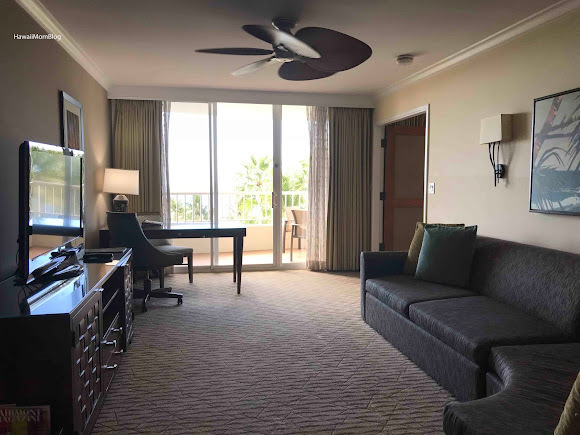 Our gorgeous Deluxe Ocean View 1-Bedroom Suite included a separate bedroom and living room with a hideaway bed, two flat screen TVs, and a desk. 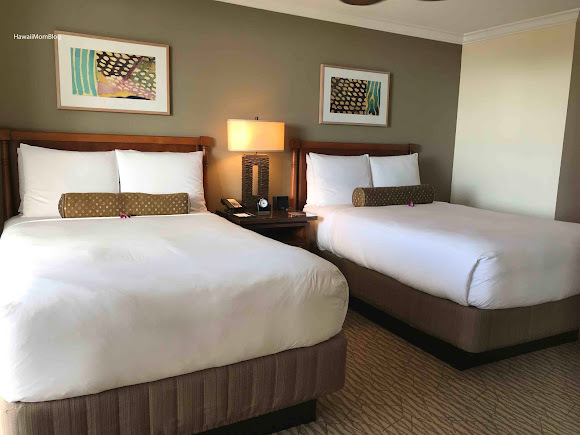 Having completed a $70-million renovation a few years ago, each suite was outfitted with new carpet, furniture, and artwork. 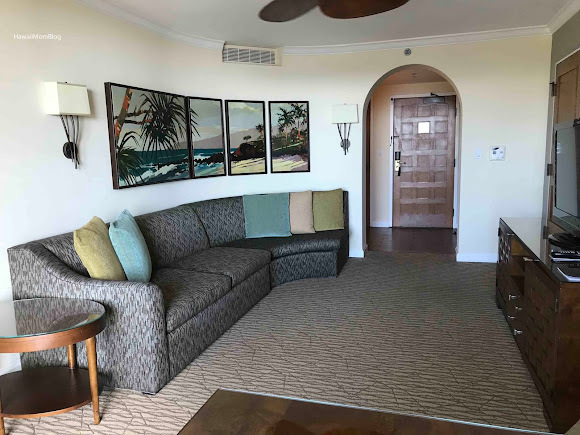 The island-inspired decor only added to the comfy and cozy vibes of the spacious suite. 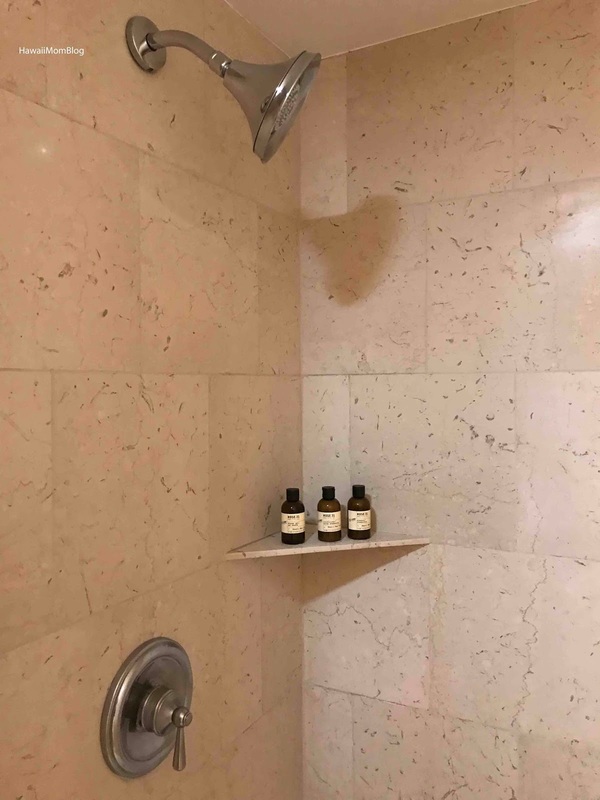 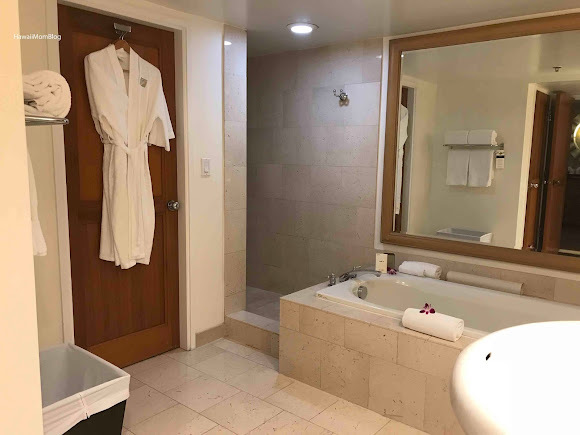 The bathroom was large, with a soaking tub, shower, dual sinks, and a separate water closet. 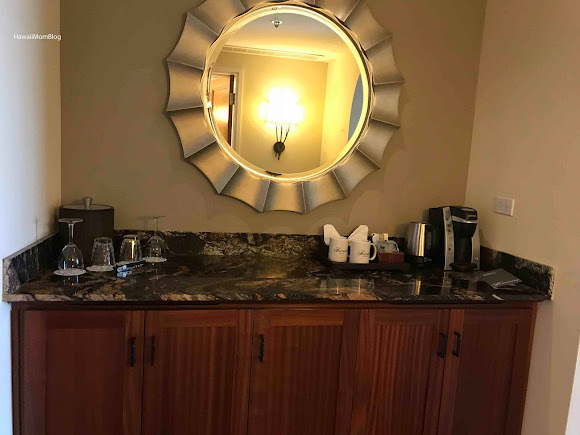 There was also a foyer pantry area with a mini fridge, microwave, and coffee maker. 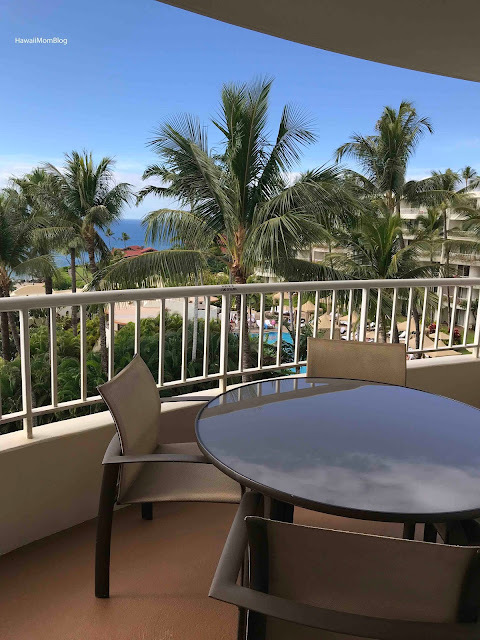 Our large lanai overlooked the pools and koi pond, and offered a beautiful view of the ocean. 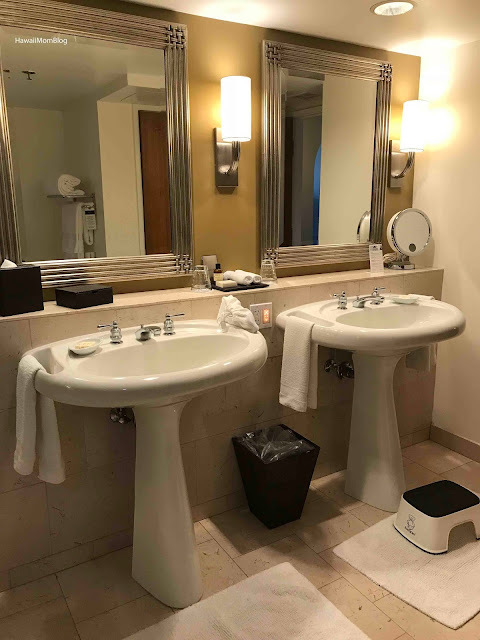 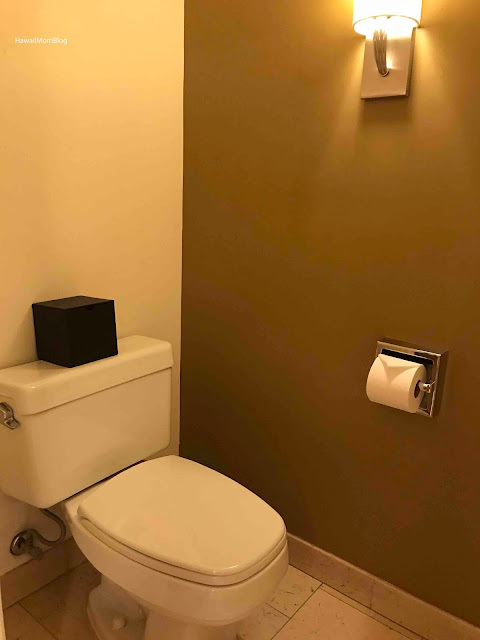 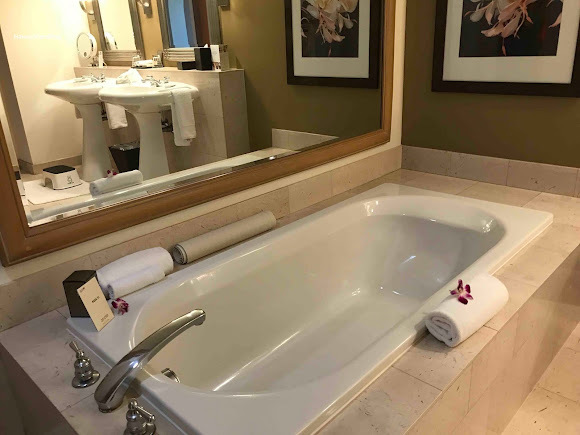 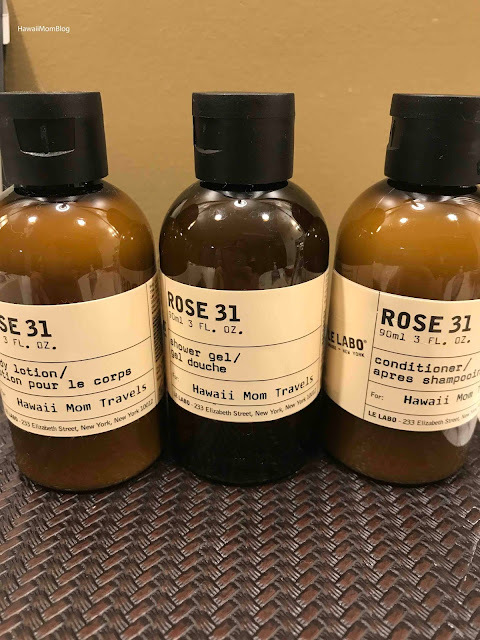 What really impressed me about the suite were the little extras that made us feel welcomed, such as the personalized bath amenities, the step stool for the kids at the bathroom sink, and the orchids on the beds and bathtub. The Fairmont Kea Lani is a stunning property, with the views to match. 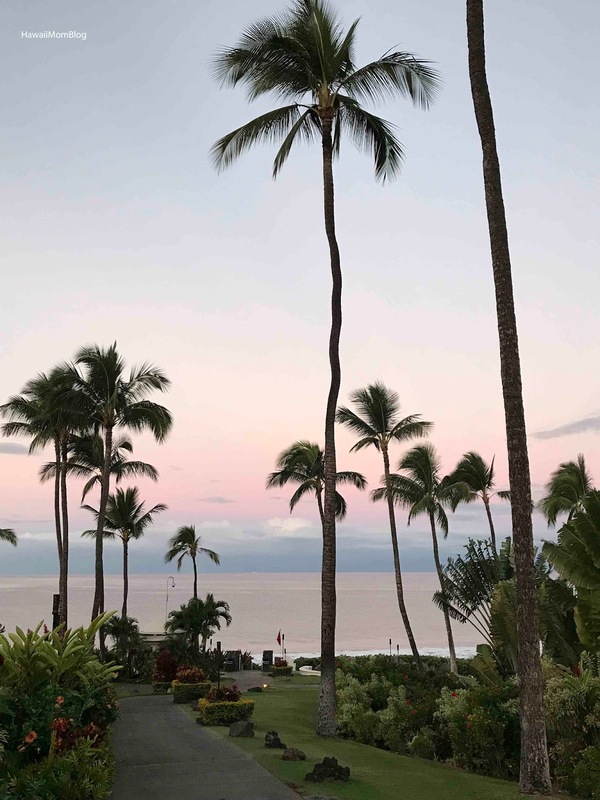 Cotton-candy skies lit up each morning, and golden hues ended each day. 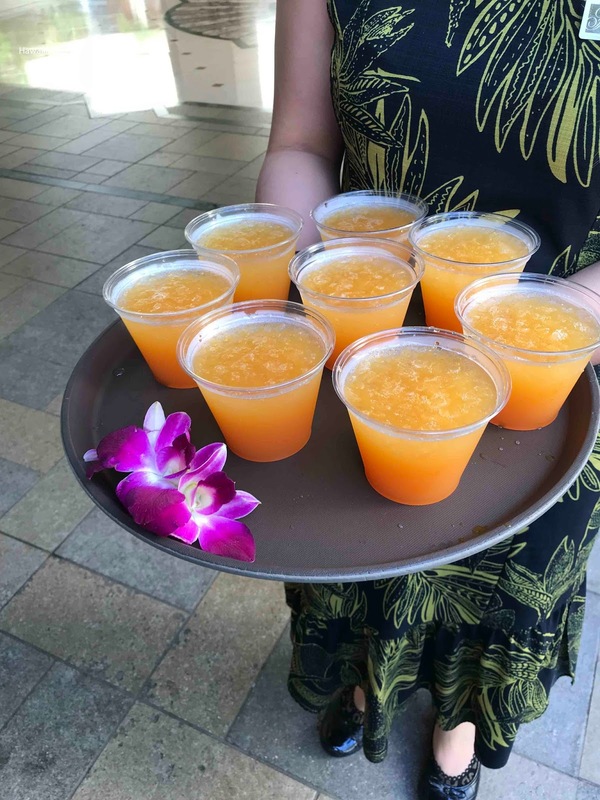 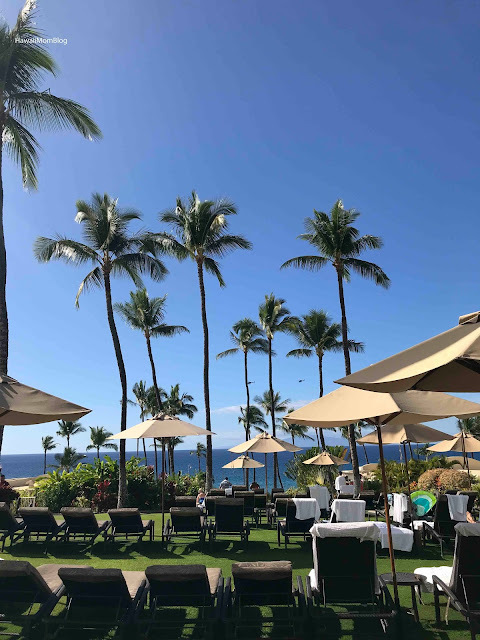 You'll find fabulous dining options at Fairmont Kea Lani (read my reviews on Kō Restaurant, Kea Lani Restaurant, and AMA Bar & Grill). 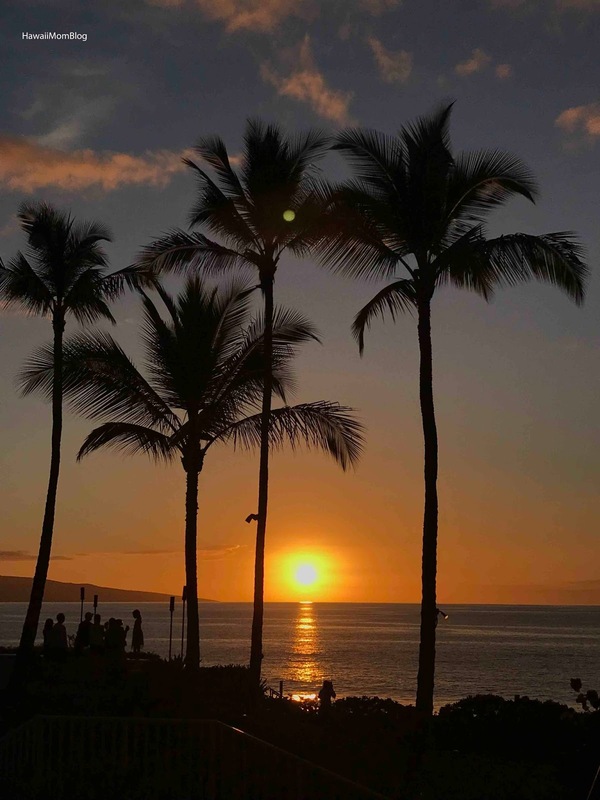 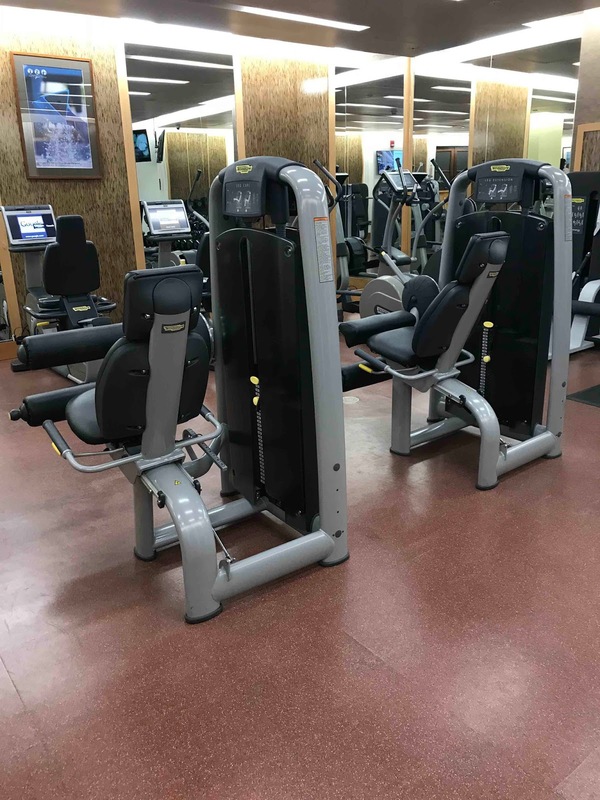 A daily resort fee offers a variety of amenities, such as access to the fitness center, self-parking for one vehicle, shuttle service within the Wailea area, in-suite bottled water, cultural activities, Keiki Lani Kids Club, and so much more! 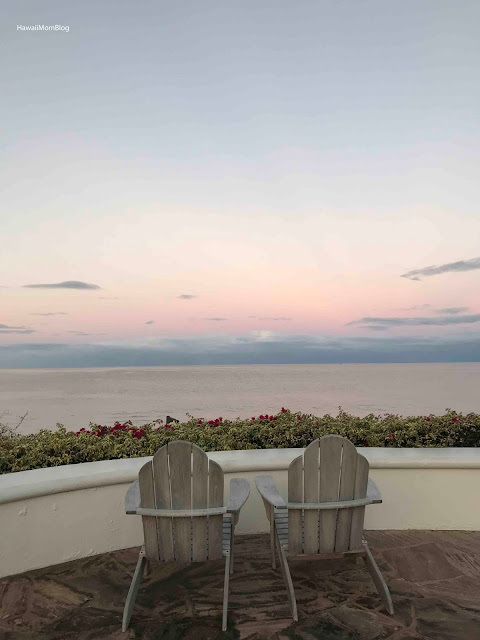 I couldn't have asked for a better weekend getaway. 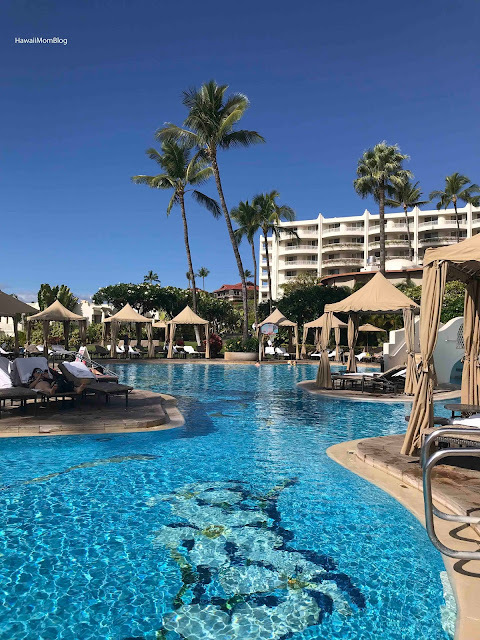 A stay at the Fairmont Kea Lani exceeded my expectations. 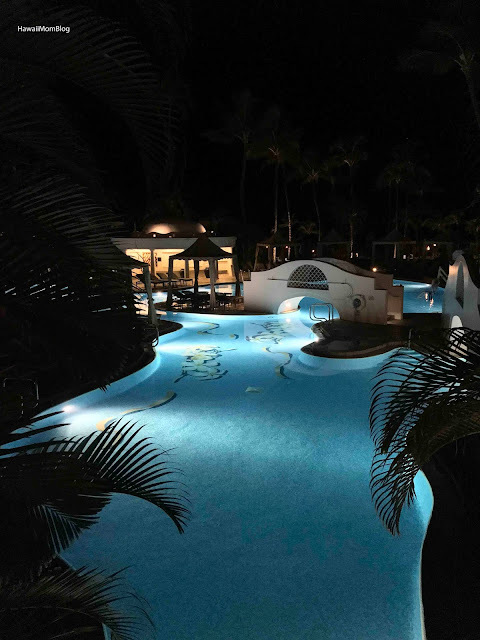 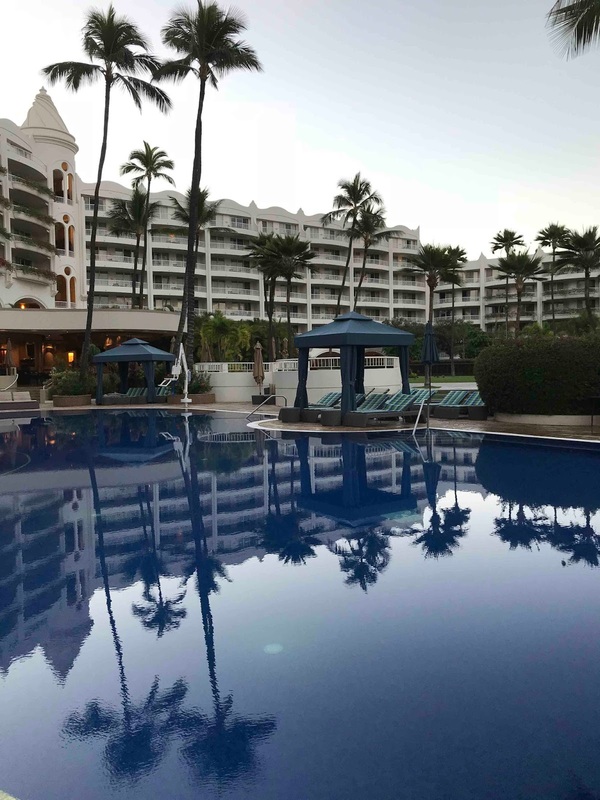 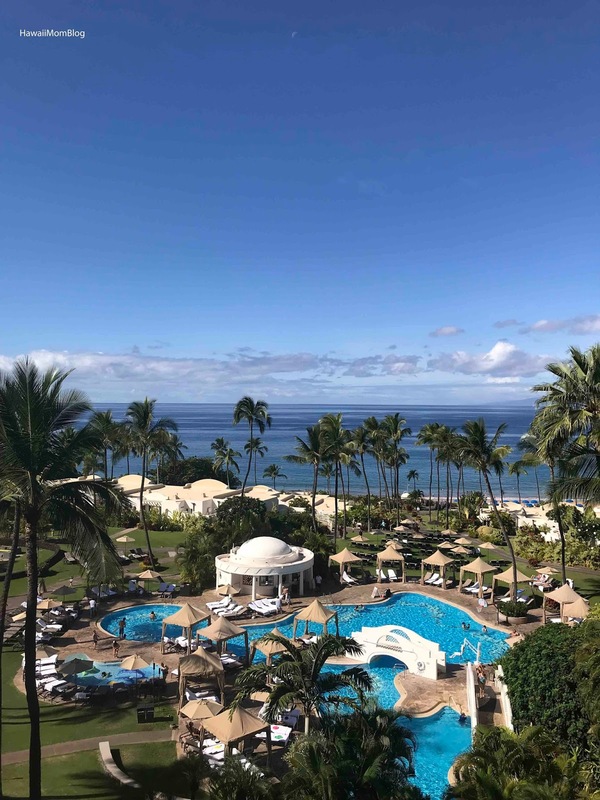 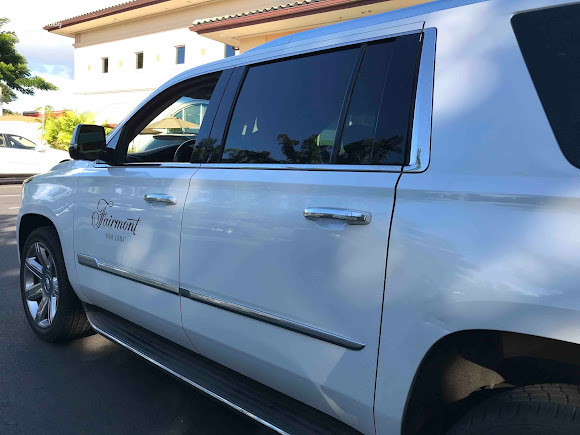 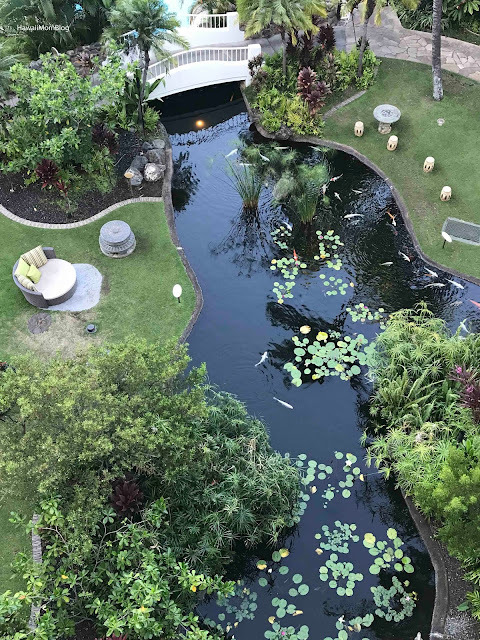 To be able to experience an award-winning, world-class luxury resort with amazing views and fantastic dining, and the genuine aloha spirit through every encounter with an employee, really made our stay truly memorable. The Fairmont Kea Lani definitely ranks up there as one of my favorite resorts of all time. 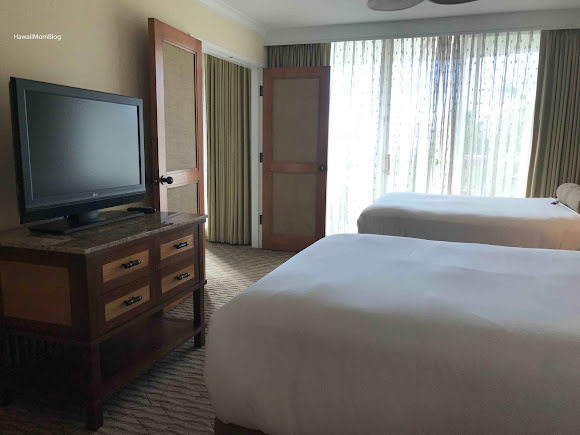 To check rates and availability, click here. 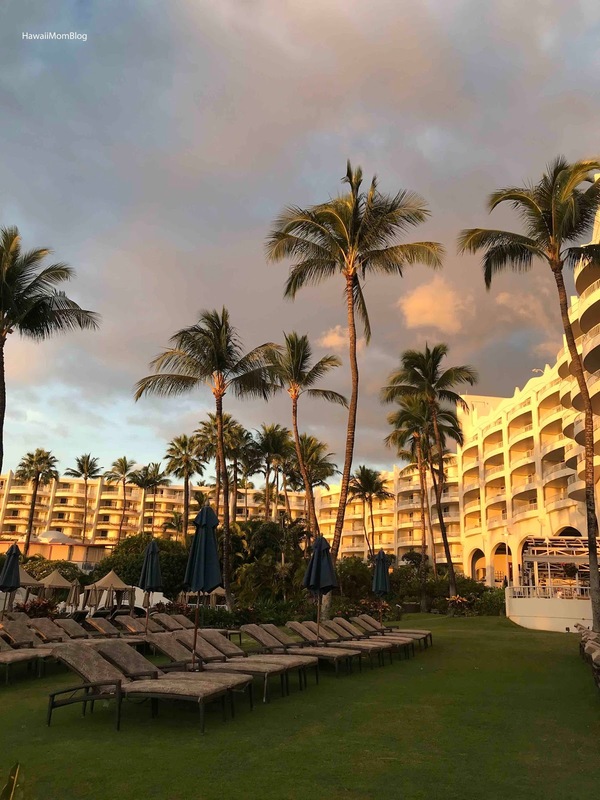 Mahalo to the Fairmont Kea Lani for hosting our stay. Gratuities were paid on my own.